Discover the colors, shapes and incredible hoodoo views at Bryce Canyon National Park. This full day tour of Bryce Canyon includes views of the Virgin River Gorge, the Grand Staircase National Monument, the magical hoodoos of Bryce Canyon, and a made-to-order lunch. Throughout the tour you will see Bryce Canyon’s hiking trails which are a combination of serenity and adventure. The Bryce Canyon National Park tour departs from Las Vegas at approximately 5:30am and returns at approximately 7:00pm. 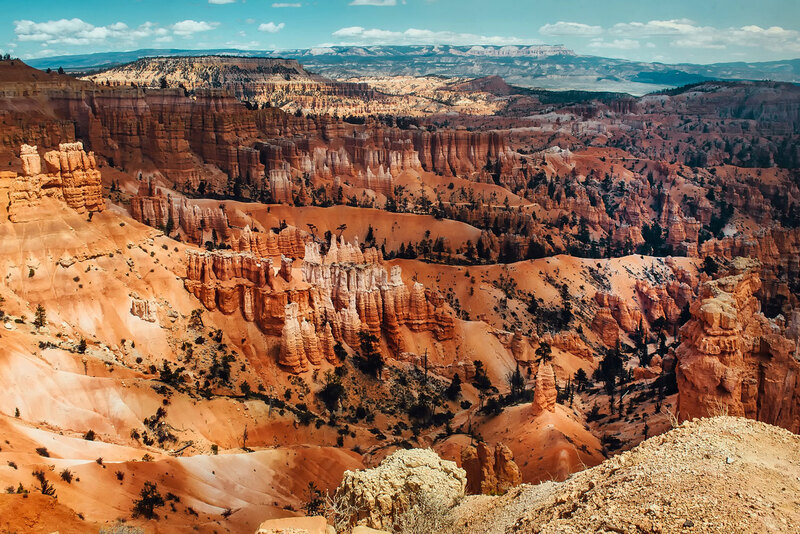 During your full day tour, you will be treated to amazing panoramic views of the famous “hoodoos” and 100 mile vistas across Escalante Grand Staircase National Monument. Escalante Grand Staircase and Bryce Canyon span three distinct climate type, each with its own unique characteristics; Spruce and Fir Forests, Ponderosa Pine Forests, and Pinyon Pine and Juniper Forests. During your guided tour, you will have approximately three hours to explore Bryce Canyon National Park, with visits to multiple rim overlooks including: Inspiration Point, Sunrise Point and Sunset Point. For a more casual experience, you will be able to take a relaxing, scenic walk among the hoodoos on one of the park’s well maintained trails. While driving to Bryce Canyon, our guide was really knowledgeable about the area we pass by pointing out which is which including the old Spanish Trail. Upon arrival to Bryce he took us the these 3 amazing points on the Canyon. The awe inspiring views of nature is worth it from the long drive. we took amazing shots of the scene. He gave us our boxed lunch after the first stop as these short hikes can make you hungry. He gave us ample time for each trail so that we wont stay at one point for a long period of time. Will definitely use Detours again! Approximately 4 hours from the Las Vegas area. With stops made along the way though, we typically arrive around 12:30pm. How long do we spend at Bryce Canyon? These are all approximations, please check the weather prior to your tour. Winter temperatures at Bryce Canyon can range from 20-50 degrees fahrenheit with snow. Spring and fall temperature range from 40-70 degrees fahrenheit. Summer temperatures range from 60-80 degrees fahrenheit.